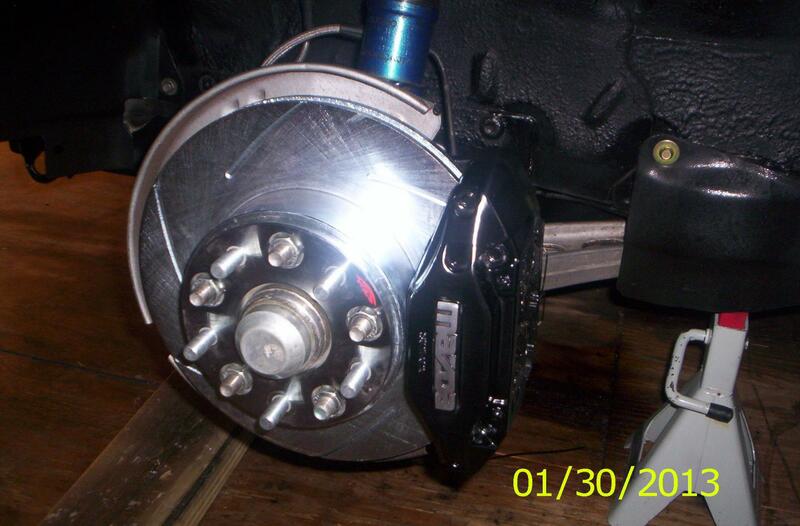 Ok so i just got these FD Calipers Front and Rear,And was wondering a couple thing's i no the Calipers up front will bolt right on no mods needed,And im running the FC rotors up front so there should be no Problem with fitment as far as that's concerned,My Qusetion is will the rear calipers bolt up? And im going to upgrade to Stainless Lines so id need to Know if i need the FD Stainlees Lines or the FC Lines when going about buying,I Know i no of a couple peolpe whom have done this on here but i couldnt find anything on the rears or the lines being the same,Any Help would be Great. I was just thinking about this same upgrade and would like to know the same thing. Would the rotors be a direct swap too? the front calipers are almost the same, so they just go right on. the rears i'm not sure about, but they use the same pad and caliper piston size, so i don't think there would be any difference, or advantage to using Fd calipers in the rear. Yeah i talked with someone at Mazda Trix yesterday and he said pretty much the same thing the Fronts were a directed Swap but the rear's are not so,My plan is to use the front FD calipers up Front and used the FC rotors up front and leave the back the way it is except for upgrading the Lines and running some Hawk HPS pads! 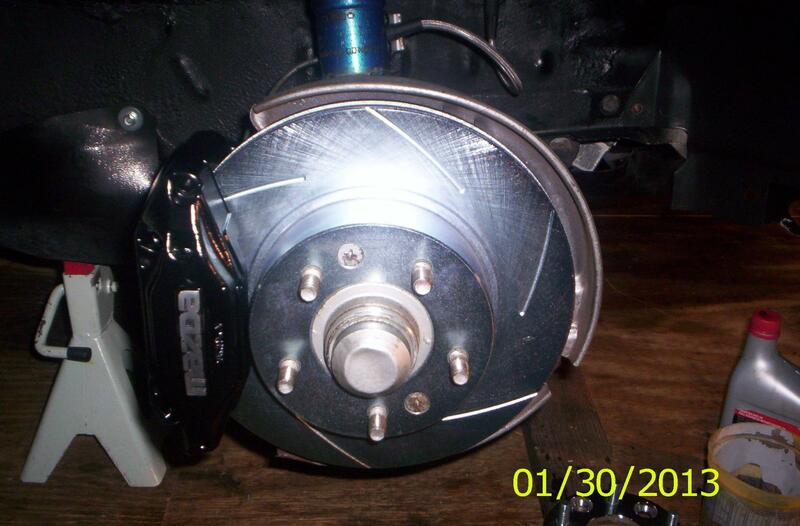 FD/FC calipers use the same brake pads and rebuild kits, so there's no mechanical advantage either way. Il Post some pics here soon of the install before and after! 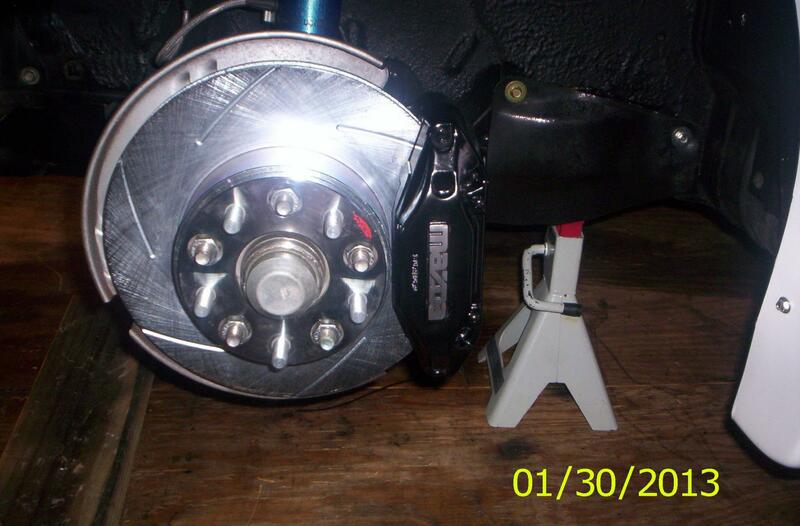 He are the pics as promised,The FD Calipers bolted right up,No modifacations needed. Is there full pad contact? I though the Fd calipers would have an overlap onto the outer edge of the rotor. Well they definitely look better than the FC. Much cleaner/modern look to them. 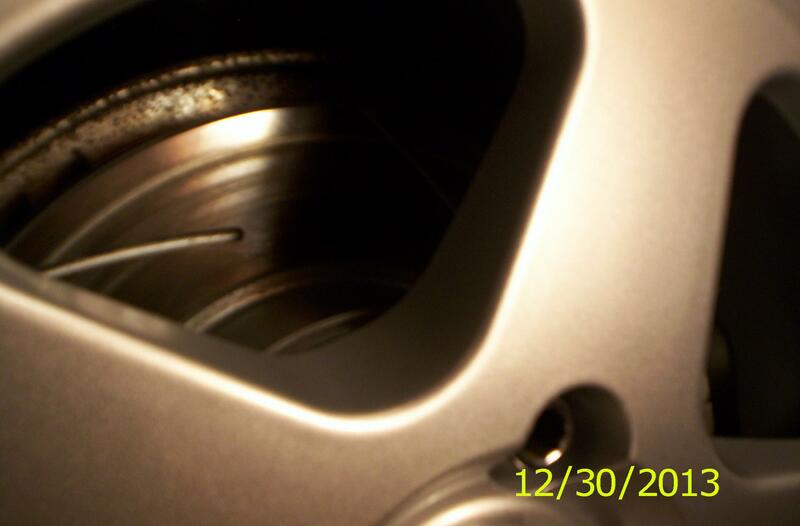 I no This post is a bit old but havnt drove the car all that much since the Caliper swap and I been noticeing a faint line on the front rotors its not grooved but its like the front caliper pads aren't making full contact with the rotors up front it stops fine just not sure whats causing this problem any help or suggestions to fix this problem would be great! I"ll get some here tonight or Tomorrow. Heres the pic! Like I said its not grooved as in if you run your hand over it,You cant feel it. Just trying to figure out why this is happening. car brakes fine no squeals or noise at all. Looks like you have something wedged or a hard spot in the pad. Is the spot raised or is it recessed into the rotor? Is it happening on both rotors? Just bought a pair of FD front calipers for my 5 lug swap so hoping this is not the case. Its not Raised it recessed but you cant feel it when you run your finger over it. It's on both front rotors as well.i don't understand everything bolts up just like the FC Calipers ***** got me puzzeled lol. All the clips are on. Im running Hawk HPS Pads as well. Ok Thanks Bro, I'll check that out and see if that is what the problem is. This happens to me all the time when I install the pads on the wrong sides on single sided calipers.